What are law school admissions committees looking for? 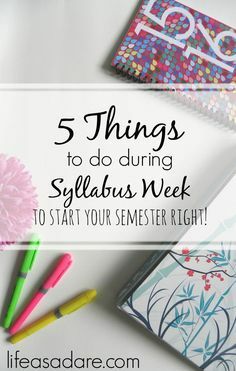 Other secondary subjective factors that may be considered are a personal statement, letters of recommendation, extracurricular activities, work experience, and the rigor of academic curriculum. To get a better idea of what specific schools may be looking for, check out "How to Get In: Law School" from U.S. News. How does this candidate compare to others? Many law schools view the LSAT as a good indicator of future performance (i.e. the better you do on the LSAT, the better you will do in law school). Law schools send end-of-first-year grades to the LSAC, and they are correlated to LSAT scores. Data indicate that there is a relationship between higher scores and better performance as a 1L/first year law student. This is important because undergraduate studies are often quite different from what you will be doing in law school. The amount of material you study, the type of material you study and how you study it will differ, so admissions offices rely on the LSAT to tell them something about your readiness for law school. The LSAT also provides a common yardstick by which law schools can compare different students from different schools with different majors. It is also relied upon by many schools to help determine amounts of scholarship aid awarded to particular candidates. The majority of law schools require at least one letter of recommendation, and may ask for up to three. The strongest letters of recommendation come from faculty who are familiar with a candidate’s intellectual abilities, leadership potential and other skills relevant to a law school admissions committee. Avoid seeking out a recommender who has a fancy title but who does not know you well enough to speak to your relevant attributes; letters from Congressman, judges and ministers may not carry as much weight if they are vague, lackluster and/or short, and can have a negative impact on the committee.